The Dutch Classic (De Klassieker): Ajax and Feyenoord, the two arch-rivals of Dutch football, together on a single shirt. We did it a few times before and finally on display in a museum. 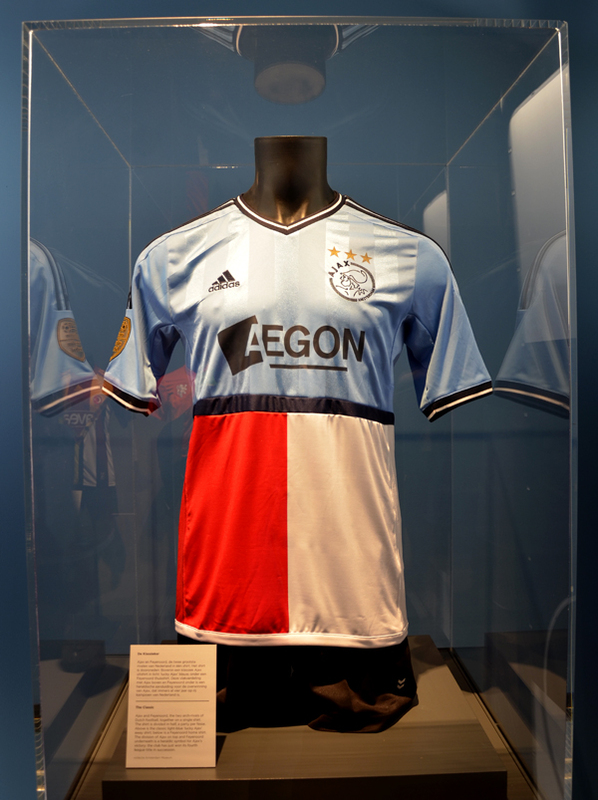 This version is a “lucky Ajax’ light-blue away party per fesse with a Feyenoord home. Many suggest Ajax is on top because of their fourth victory last season, but it is merely to show both shirts most recognizable. We did get in trouble for showcasing this one. But isn’t your arch-rival a major part of your own identity? Especially in football?